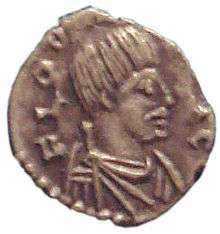 For the Lombard duke of 774–89, see Hildeprand of Spoleto. Hildeprand (died 744), sometimes called the Useless, was the king of the Lombards from around 735 in association with his uncle, Liutprand. After Liutprand's death in 744, Hildeprand ruled in his own name until he was overthrown later that year by Ratchis, duke of Friuli. Hildeprand was a duke (dux) prior to his elevation to the throne. 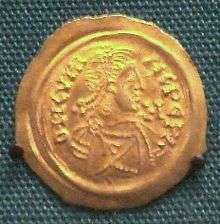 In 734 he participated in the successful siege of Byzantine Ravenna. Either just before or after the siege, Liutprand fell ill and was not expected to live. The leading Lombard noblemen elected Hildeprand as king, but Liutprand recovered. Although displeased with the election, he felt bound to accept Hildeprand as co-ruler. Liutprand himself had been elected while his father, Ansprand, was fatally ill. In both cases, the initiative to elect a successor was taken by the nobility. By 735, the diplomacy of Pope Gregory II had patched together an alliance between the Byzantine exarch, Eutychius, Duke Ursus of Venetia and Patriarch Antoninus of Grado. With a large Venetian fleet, the new allies retook Ravenna. In this second siege, Hildeprand and Duke Peredeo of Vicenza were captured by the Venetians, according to the Chronicon Venetum. In 739, while Liutprand was campaigning against the church in the Duchy of Rome, Hildeprand was ravaging the ecclesiastical lands around Ravenna. In August he was joined by Liutprand, who attacked the Pentapolis. By 743, Liutprand's health had again begun to fail, and there may have arisen a pro-papal party in the kingdom, led by Duke Ratchis. The next year Liutprand died and Hildeprand succeeded unopposed. 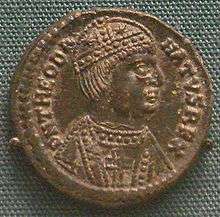 He had proved himself an opponent of both the Byzantines and the Papacy, and within a few months he was overthrown by a revolt led by Ratchis, who immediately made peace with Pope Zachary. ↑ Wickham 1981, p. 221. ↑ Wickham 1981, p. 45. ↑ Grierson 1941, p. 21. 1 2 Hallenbeck 1982, p. 32. 1 2 Grierson 1941, p. 15. ↑ Hallenbeck 1982, p. 32 n. 47. ↑ Hodgkin 1895, p. 483. ↑ Hallenbeck 1982, p. 35. ↑ Hallenbeck 1982, p. 50. ↑ Hallenbeck 1982, p. 51. Grierson, Philip (1941). "Election and Inheritance in Early Germanic Kingship". Cambridge Historical Journal. 7 (1): 1–22. Hallenbeck, Jan T. (1982). "Pavia and Rome: The Lombard Monarchy and the Papacy in the Eighth Century". Transactions of the American Philosophical Society. New Series. 72 (4): 1–186. doi:10.2307/1006429. JSTOR 1006429. Hodgkin, Thomas (1895). Italy and Her Invaders, Volume VII: The Lombard kingdom, 600–744. Oxford: Clarendon Press.